Starring in a movie wherein they represent the country, Varun Dhawan feels that it is their duty to do it nicely. With the 3D trailer launch of ‘ABCD 2’ (Any Body Can Dance), which took everyone by surprise, came the young and charismatic lead actors of the movie – Varun Dhawan and Shraddha Kapoor. 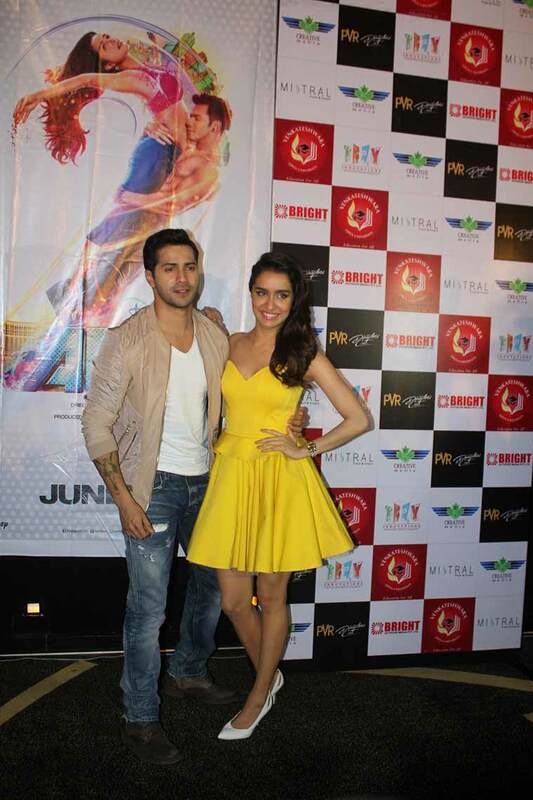 With the 3D trailer launch of ‘ABCD 2’ (Any Body Can Dance), which took everyone by surprise, came the young and charismatic lead actors of the movie – Varun Dhawan and Shraddha Kapoor. The duo has been to plenty of places to promote their movie, but Delhi is one place they loved to be in. “If you are representing your country, it is your duty to do it properly,” added the actor, who will be seen representing an Indian dance group in the film. This is also the first time that we will see actress Shraddha Kapoor set a foot in the world of dancing. Talking about how shy she had been when it came to dancing, Shraddha said, “Receiving good words for my work will make Remo proud. I was an under confident dancer and danced in places like bathroom, in front of the mirror, in front of parents and friends. I wanted to dance in a film since long, and got the chance to do it in ‘ABCD 2’. The actors now desperately await the release of ABCD 2 this Friday (June 19), when it will finally hit the theatres. They are more eager for Monday to know about the public review. Directed by Remo D’Souza, the movie also stars Prabhudheva in a pivotal role.